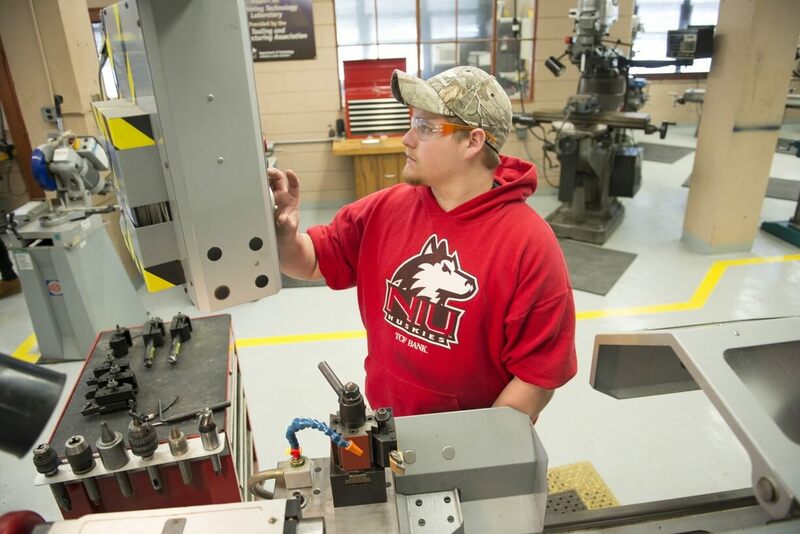 A new partnership between College of DuPage and Northern Illinois University provides an opportunity for students to complete 30 hours of NIU course work combined with additional COD courses to earn a Bachelor of Science in Technology degree from the NIU College of Engineering and Engineering Technology with an emphasis in Applied Manufacturing Technology. Under the new articulation agreement, COD students will be guided through an academic plan that ensures a smooth transition to NIU. College of DuPage students who earn A.A.S. degrees in Architecture, Automotive Services Technology, Electronics Technology, Electro-Mechanical Technology, Facility Management, HVACR, Manufacturing Technology (Automated Manufacturing Systems, Drafting and Design, Manufacturing Engineering Technology) and Welding are eligible to participate in this new transfer program. “We welcome students from these technical programs at COD to go on with the B.S. in Technology at NIU. The Applied Manufacturing emphasis focuses on the leadership and supervisory skills students will use to move up the career ladder. And since the NIU courses are offered online, students can continue their education while they work in the field,” said Meryl Sussman, NIU’s Assistant Vice President, Outreach, Engagement and Regional Development.